It's a bird! It's a plane! No, no it is not. 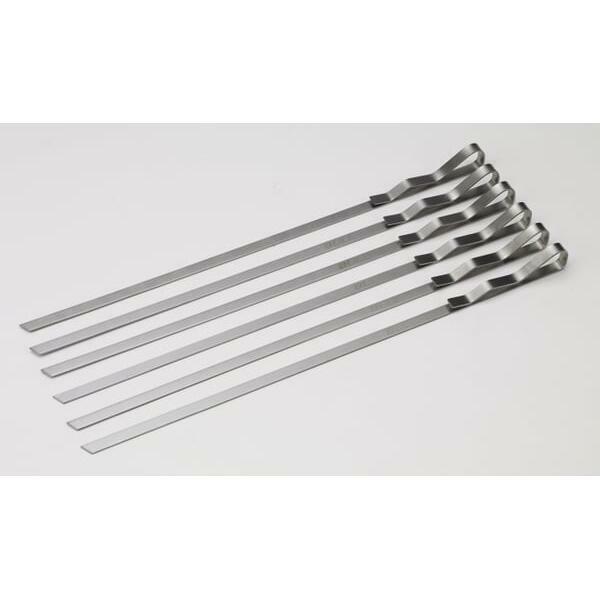 It's the widest of the wide Stainless Steel Wide Skewers by Bull Grill. Now your kabobs can showcase large mushrooms, impressive chunks of chicken and massive pieces of bell pepper! 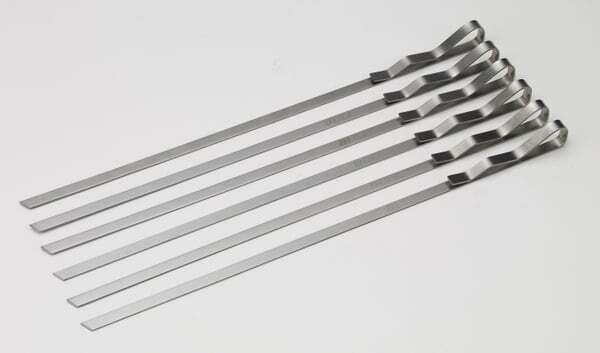 These extra-large skewers will hold the largest pieces of food in place while they cook on your grill. No more soaking bamboo rods overnight and purchasing more skewers every season. Put the issue to rest with the biggest skewers around!